How long does the course take? You will need time to practice the skills you learn, so we suggest that you complete a session per week over a period of six weeks. This will allow you to put your learning into action and reflect on how well you are doing. Support: You may find during this course you feel vulnerable, emotional or angry. It is important that you look after yourself emotionally. You will find links to relevant websites and helplines here. We also recommend that you consider enrolling on a face-to-face parenting course at some point in the future; you will find advice in the programme on how to find parenting support. Choose the file type that is best for your computer/device (right-click to download): Confident Parenting Worksheet (Microsoft Word version), Confident Parenting Worksheet (Rich Text Format), Confident Parenting Worksheet (Plain Text version). 1.10 – How were you brought up? 2.4 – Do parents have rights? 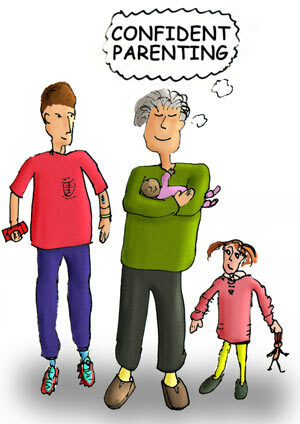 2.7 – Parents’ Rights – What is important for you? 3.2 – How can we help with our children’s education?